Beth and her pastor-husband Rick are living the church-filled American life by remote until Beth feels her world turn upside down when Rick refuses a family vacation to take a solitary Sabbatical instead. Rick holes up in the backyard shed in seclusion for a month. Given a month to make her own decisions -- apart from her husband, apart from her parishioners -- Beth has to face the truth of her faith and what she discovers changes the course of her life. I read this book through in a weekend. Every spare minute, I was reading. 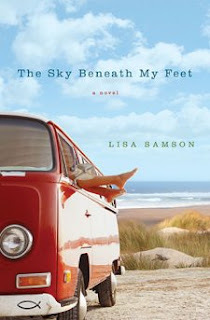 Samson's writing style is conducive to obsessive reading; she made me feel like I was living the story, not reading it. Watching a pastor's wife navigate a rough patch in her life, marriage and faith, I found myself confronting a lot of struggles in my own life. Cultural and spiritual issues collide, laced together with wonderful humor, making this an uplifting and challenging read. 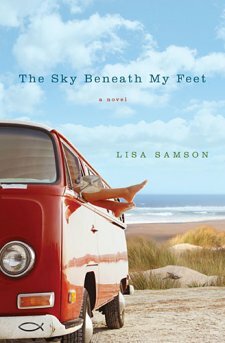 Samson provides a reading group guide in the back, full of challenging questions for your book club gathering. I strongly recommend this book for a book club or individual reading. It's really a great book.